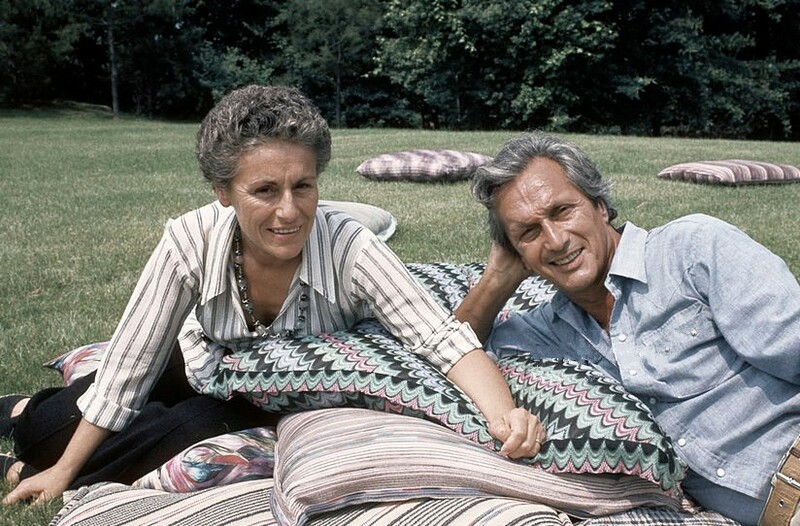 The fashion designer Ottavio Missoni died on this day in 2013 at the age of 92 following an extraordinary life. 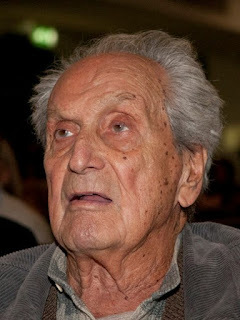 He passed away at his home in Sumirago, 55km (34 miles) north-west of Milan, having requested his release from hospital in order to spend his last days with his family. Missoni was the co-founder of the Italian fashion brand Missoni, which he set up in 1953 with his wife, Rosita. The company became known around the world for its brightly coloured geometric knits and zigzag patterns and were among the pioneers of Italian ready-to-wear clothing lines. Earlier, he had been an infantryman during the Second World War, fighting at the Battle of El Alamein in 1942. He was captured by the 7th Armoured Division of the British Army, popularly known as the Desert Rats, and spent the remainder of the war in an English prisoner-of-war camp in Egypt. After the war, he pursued his passion for competitive athletics, becoming good enough to be selected in the Italian team for the 1948 Olympics in London, where he reached the final of the 400m hurdles event. Missoni was born in Dubrovnik, on the Dalmatian coast, in 1921. His mother was a countess, his father, Vittorio, a Friulian sea captain who had moved to Dalmatia while it was under Austrian rule. He grew up in Zadar, now part of Croatia but then called Zara and part of Italian territory, before going to college in Trieste and Milan. He had participated in athletics events before the war. A member of the Italian national team at 16, he took part in an international meeting in Milan in 1937 in which he won the 400m in a time of 48.8 second, which remains the fastest for his age in Italian track history. In 1939, over the same distance, he won a gold medal at the International University Games in Vienna. Sport provided his entry into the fashion business. Back home after the war, Missoni and his fellow athlete Giorgio Oberweger opened a business in Trieste making wool tracksuits, which they called Venjulia suits. The tracksuits featured zippered legs, which Missoni has been credited with inventing. The Venjulia suits recognised the need of athletes for functional, warm garments enabling freedom of movement. In fact, they were worn by the Italian Olympic team in 1948. It was while in London that he met 16-year-old Rosita Jelmini, an English student from Golasecca, Italy, who watched him compete. They married in 1953, and their first son, Vittorio, was born in 1954. Luca (1956) and Angela (1958) followed. Rosita’s family had a textiles business, making shawls, and together she and Ottavio set up a machine-knitwear workshop in Gallarate, not far from Sumirago and the town in which Rosita grew up. Soon they were supplying designs to the Biki boutique in Milan and to La Rinascente, the department store, where the first Missoni-labelled garments, a line of colourful vertically striped shirt-dresses, were displayed in the window in 1958. They held their first catwalk show in 1966, and the following year, presented a show at the Palazzo Pitti in Florence, which landed them in controversy after the show’s lighting had the effect of turning the models’ clothing see-through, a misfortune made worse by the fact that most of the models went without underwear so as not to spoil the line of the clothes they were showing off. The show was likened to a bawdy cabaret and the Missonis were not invited back. However, the publicity the scandal attracted helped the Missonis. Their next presentation, in Milan, drew much press attention and, as Milan grew as a fashion capital, the Missonis went on to feature in many leading fashion magazines. With a new factory in Sumirago, in a beautiful country setting in the shadow of Monte Rosa, they opened their first in-store boutique at Bloomingdale's in New York in 1970. Their first directly-owned boutique in Milan followed in 1976. The company enjoyed such heights of prestige that in 1983 they were invited to design the stage costumes for a performance of Donizetti’s Lucia di Lammermoor at Teatro alla Scala in Milan, starring Luciano Pavarotti, and in 1990 some of the costumes for the opening ceremony for the football World Cup. In 1997, Ottavio and Rosita retired, entrusted the future of the business in their children, appointing Vittorio as marketing director and Angela as creative director, with Luca taking a technical role. The company expanded into furniture and car interiors and even set up a chain of boutique hotels. Sadly, tragedy struck the family shortly before Ottavio died when Vittorio was killed, along with his wife, Maurizia, when a small plane in which they were travelling crashed off the coast of Venezuela. As the crow flies, the city of Zadar in Croatia is 206km (128 miles) south-east of Trieste along the Dalmatian coast. At the time of Missoni’s birth it was called Zara, and was on Italian territory as part of the settlement of the Treaty of Rapallo, which rewarded Italy’s participation on the side of the Triple Entente (France, Russia and the United Kingdom) in defeating Germany in the First World War. With considerable Venetian influence, having for many years between the 13th and 18th centuries been part of the Republic of Venice, it is a city with a strong Italian flavour, retaining its beauty despite being bombed heavily during the Second World War. Sumirago, where Missoni made his home, is 15km (9 miles) south of Varese, a pleasant town a short distance from Lake Maggiore and overlooking its own picturesque lake. Well known as the location of the Sacro Monte di Varese (the Sacred Hill of Varese), which is scaled along a 2.5km path that passes 14 monuments built in the early part of the 17th century, it is also home of the imposing Palazzo Estense and Villa Recalcati. Varese also has a cathedral, the Basilica di San Vittore, who can be found in an elegant square in the historic centre.